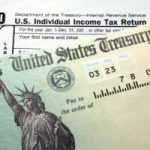 Okay, I realize that I’ve written a lot about the tax stimulus rebate recently, but this seems to be a topic of great interest, so I thought I’d throw out another little nugget of information… While I previously posted a calculator for figuring out whether you qualify for the tax rebate, that’s not an official calculation. I have since run across a calculator that comes straight from the horse’s mouth — the IRS themselves. Simply go here and follow the instructions. Note that this calculator assumes that you’ve already figured your 2007 taxes, so you’ll need information like your filing status, your wages for the year, your Social Security benefits, your adjusted gross income (AGI), the child tax credit, etc. Assuming that you have the necessary information, it’s very quick and easy to do. And once you know how much (if you anything) you’ll be getting, you can hop over to the tax rebate payment schedule to find out when you can expect it to arrive. In case you weren’t aware, you’ll get it up to six weeks earlier if you sign up for direct deposit when filing your taxes. For what it’s worth, even the official calculator is still an estimate.